It’s Time to Eat Drink SF! (SAN FRANCISCO) – Eat Drink SF, the premier food, wine, and spirits festival that celebrates the Bay Area’s world-class chefs and restaurants, announces full main stage programming and festival activations for both the Taco Knockdown presented by Milagro Tequila on August 25, and the four signature Grand Tasting sessions at the Festival Pavilion at Fort Mason, August 26 – 28. Presented by the Golden Gate Restaurant Association, Eat Drink SF invites food and drink enthusiasts to connect directly with top local chefs and bartenders and get a taste of what makes San Francisco a top-rated food city. From Thursday to Sunday, more than 160 restaurants participate and guests will enjoy bites as well as unlimited pours of beverages from more than 70 bars, distilleries, breweries, and wineries. All four Grand Tastings will feature San Francisco’s Buena Vista Café who will be serving their famous Irish Coffees featuring Tullamore D.E.W. to bring guests a quintessential flavor of San Francisco. This year, Eat Drink SF has added a special Grand Tasting on Sunday, August 28, to celebrate the Golden Gate Restaurant Association’s 80th anniversary and honor the legacy restaurants in the Bay Area. 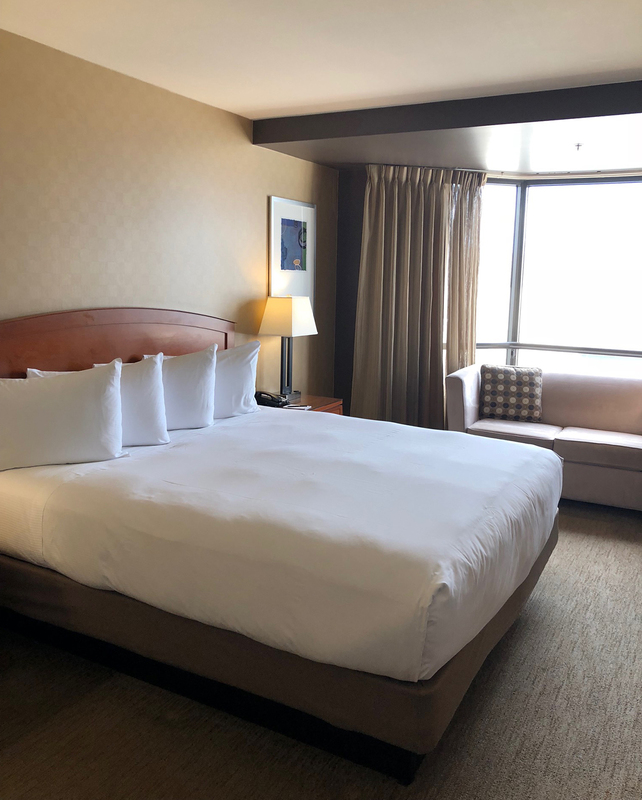 The Sunday Afternoon Grand Tasting will feature Bay Area bars and restaurants that have been open for at least 20 years and that have helped shape the distinct flavor of the local culinary experience including Scoma’s, Sutro’s at the Cliff House, Tosca and Goat Hill Pizza. Eat Drink SF has added the “Bay Bar” to all Grand Tastings, which will feature a rotating lineup of San Francisco’s beloved cocktail bars, such as Hard Water, Prizefighter, The Treasury, Whitechapel, and more. Additionally, The San Francisco Brewers Guild will be pouring local craft beers at all Grand Tastings in the “Backyard Bites” section. Guests can kick-off festival weekend with Taco Knockdown presented by Milagro Tequila at Folsom St. Foundry on Thursday, August 25. Returning after a sold-out debut in 2015, this year’s taco competition has added a “Milagro Margarita Mix Off” with local bar stars: Brandon Bigalke (Wingtip), Brian Nelson (Whitechapel), Ted Ronnie (Mosto), Oz Serafin (Trick Dog). Reigning champs DOSA and Trick Dog will defend their titles against a new batch of fierce taco contenders: AQ, Bar San Pancho, Delfina, La Urbana, Matador, Mr. Tipple’s Recording Studio, Myriad Gastropub, Palm House, Picco, and Souvla. From 6:30 p.m.-9:30 p.m., taco lovers will sample 12 unique tacos from participating restaurants and drink beer, wine, competing margaritas and other cocktails crafted by The Bon Vivants. For a full list of participating restaurants, visit each of the event pages at www.eatdrink-sf.com. VIP and General Admission tickets for the Grand Tastings are available for purchase at www.eatdrink-sf.com. General Admission tickets are $109 but will increase to $119 on July 25 and VIP tickets are $199 – $209. A limited number of tickets for Taco Knockdown presented by Milagro Tequila are still available for $85. For more information, visit www.eatdrink-sf.com or follow on Facebook, Twitter, and Instagram. Platinum Sponsors include Hawaiian Airlines, Morningstar Farms, PG&E, S.Pellegrino® Sparkling Mineral Water, Stella Artois, Taiwan Tourism Bureau, The Glenlivet, Woodford Reserve, Fine Cooking, iHeartMedia, Imbibe Magazine, San Francisco Chronicle, San Francisco Magazine, SF Travel, Sunset, Tasting Table, Wine Spectator, DPEM Event Marketing, Noise 13, and San Francisco Wine School. For a complete list, please visit http://eatdrink-sf.com/sponsors. To purchase tickets to any of the events, please go here. Eat Drink SF, (aka SF Chefs), was founded by the Golden Gate Restaurant Association in 2009 to celebrate the Bay Area’s world-class restaurant community. Each year, more than 160 restaurants participate in Eat Drink SF’s events that include Taco Knockdown and its signature Grand Tasting sessions. 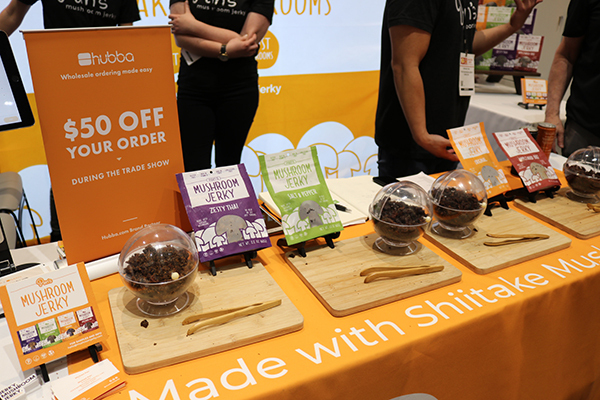 With more than 8,500 attendees, Eat Drink SF provides an opportunity for top area chefs to connect directly with enthusiastic food lovers. Guests enjoy bites and beverages from more than 70 bars, distilleries, breweries, and wineries. 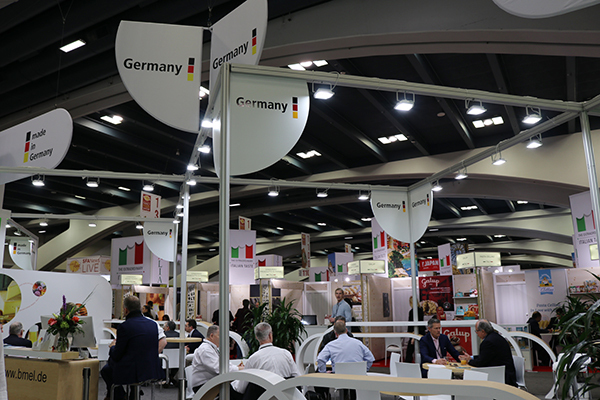 EDSF 2016 takes place August 25 – 28 at Festival Pavilion in Fort Mason Center (San Francisco). This year, the Golden Gate Restaurant Association is celebrating its 80th anniversary. Founded by restaurateurs in 1936 to give San Francisco restaurants a collective voice, the Golden Gate Restaurant Association (GGRA) has evolved to be the Bay Area culinary community’s representative and trusted partner. 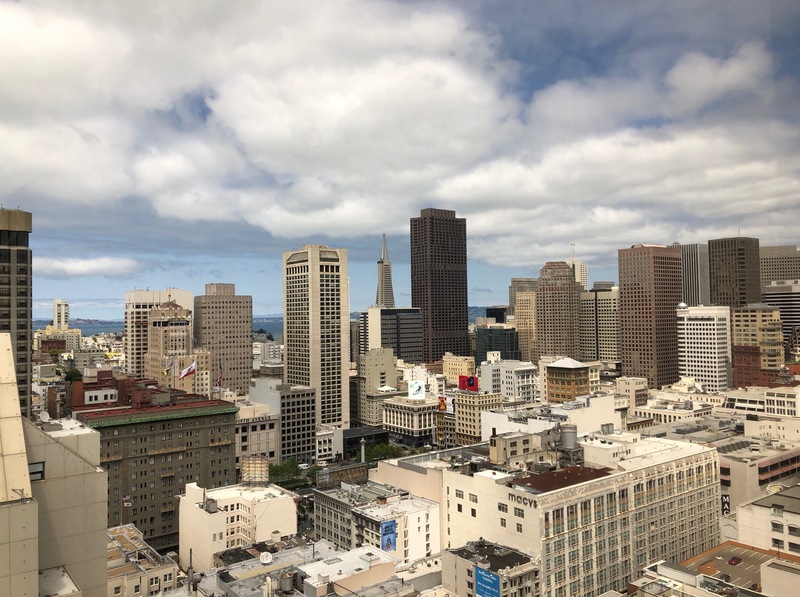 GGRA supports and celebrates its members through year-round educational programming, professional development, and annual events including SF Restaurant Week, Eat Drink SF and its Industry Conference. The member community includes restaurants of all sizes and profiles. 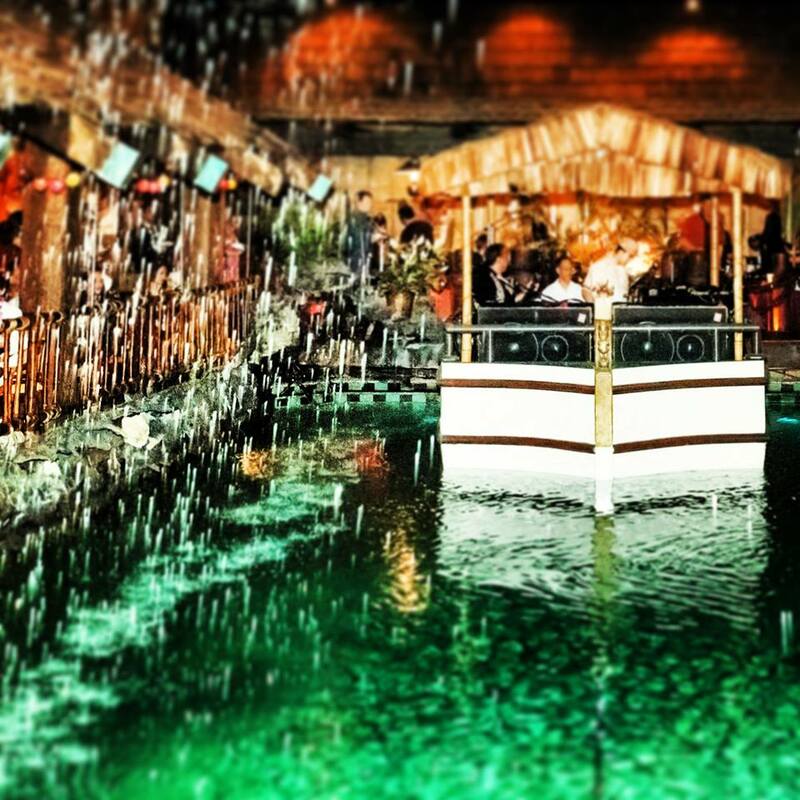 70-Year-Old Tonga Room to Celebrate New Year’s Eve with a Luau! Back in September, Andy and I attended the 70th birthday party of the Tonga Room and Hurricane Bar, a legendary tiki bar located in the basement of the Fairmont Hotel. Walking into the room is like stepping back in time to the post-war days of exotic cocktails, food and all things Polynesian. A time when South Pacific food and culture were all the rage, along with the clothing styles to match. Originally, the room housed the hotel’s indoor swimming pool. The pool and its original tiles have been saved, but it’s now equipped with a floating stage for bands to play live music. Every thirty minutes, a thunderstorm erupts, and rain falls into the pool. The 70th birthday party featured an incredible buffet, cocktails and live music by the Island Groove band. It was surreal to be in San Francisco on a work night surrounded by so many fun people dressed in their best festive tiki attire, laughing and dancing without a care. The Tonga Room is a true relic, surviving a threat of closure, and thriving to become what it is today. In 2013, the menu was redone and the drink recipes were given an update to match the more traditional style. It was an incredible experience to be part of the celebration. If you have never been to the Tonga Room, please put it on your list of travel destinations in 2016 or make arrangements NOW to celebrate with them on New Year’s Eve (details below)!! Get a real taste of what the Tonga Room looks like and all the fun we had at the party. More photos from the 70th birthday celebration can be found by clicking HERE. Ring in 2016 in a tropical paradise! Tonga Room offers a decadent Luau buffet package featuring a sumptuous buffet, party favors, Mai Tai or Champagne toast at midnight & dancing to The Island Groove band from 7:00pm until 12:30am. Note: Tonga Room will be closed for private events January 13 & 23. 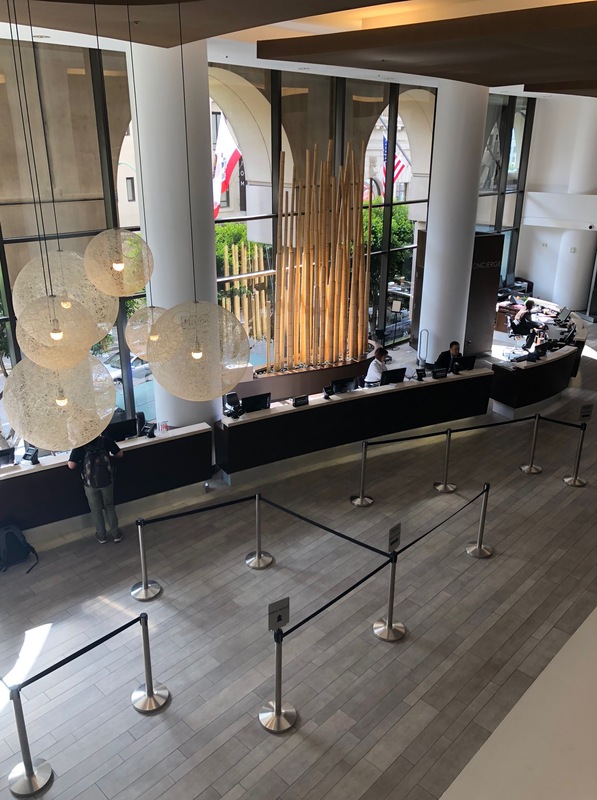 To make arrangements at the Fairmont Hotel and for a glimpse of everything going on this holiday season, you can click here! You can find Tonga Room and Hurricane Bar on Facebook here and on Twitter here. For more information call (415) 772-5278. 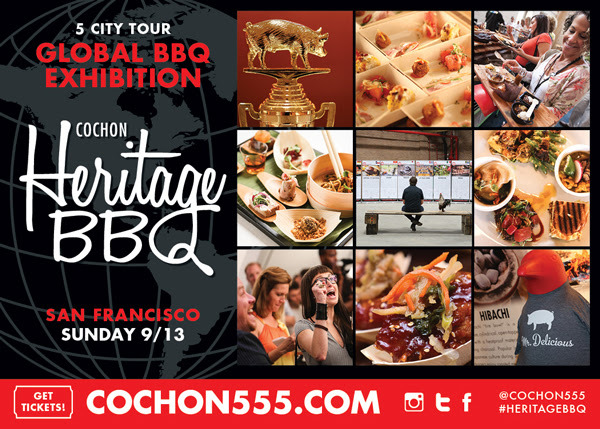 Cochon Heritage BBQ Sizzles into San Francisco’s Magnolia Brewery at Dogpatch 9/13/15! Cochon555’s Heritage BBQ announces the chef lineup and official venue for their second annual friendly competition promoting heritage breed pigs and global grilling cultures. The culinary competition challenges five chefs to cook one whole, family farm-raised, heritage pig for a group of 20 notable judges. Chefs have seven days to prepare one whole pig and present a “Judge’s Plate” consisting of 6 dishes scored on utilization, global influences, cooking techniques and overall flavor. The winner in San Francisco will be crowned the “BBQ King or Queen” and takes home over $3,000 in prizes. 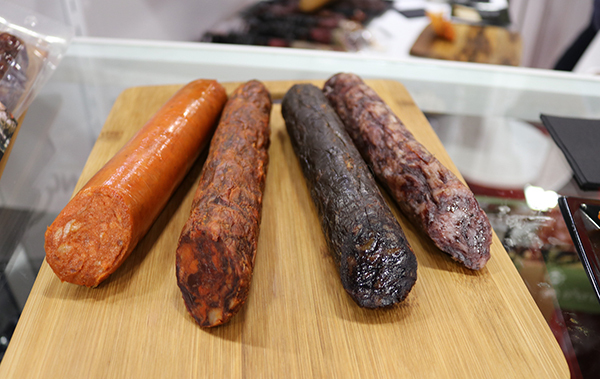 In addition to sampling the competitor’s dishes, the all-inclusive ticket includes “BBQ Traditions”, a tasting inside the event where 10 notable chefs prepare one dish from their favorite BBQ culture in non-competitive spirit. 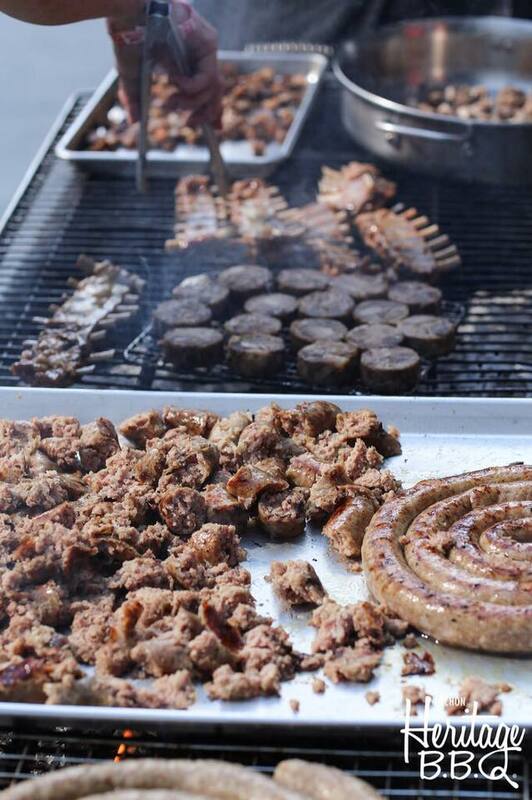 If you love global flavors and star-studded culinary events, this educational event is like a top chef classroom including grilling-styles like Hibachi, Korean BBQ, Asador, Braai from Africa, Char Siu, Caja China, Churrasco, Barbacoa, as well as regional American BBQ styles from Texas to Kansas City. Magnolia Brewery at Dogpatch will be the Official Host and Exclusive Brewery of Heritage BBQ, this year’s competing chefs include Dennis Lee of Smokestack / Namu Gaji, Geoff Davis of The Dock, Michael Rafidi of RN74, Nicolai Lipscomb of The Battery, and John Madriaga of Spruce. Each chef will be given a 180-pound heritage breed pig to create six dishes for a crowd of pork-loving enthusiasts. A group of respected judges including Dave McLean of Magnolia Brewery, David Bazirgan of Dirty Habit, and Richie Nakano of Hapa Ramen will be led by Brady Lowe in selecting the winner. Non-competing chefs cooking BBQ Traditions include Jason Wittek of Stem, Jeffrey Weiss of jeninni kitchen and Joshua Schwartz of Del Dotto. Tickets for general admission start at $100, and VIP tickets for early admission are $200. To purchase tickets, visit the website here. How will you be making a start to the new year? 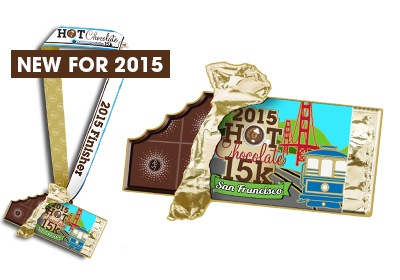 I’ll be heading to San Francisco to take part in RAM Racing’s Hot Chocolate 5K & 15K on Sunday, January 11th, 2015. Join me and make 2015 the year you achieve your fitness and health goals! America’s Sweetest Race, the Hot Chocolate 5K & 15K, is coming back to San Francisco on Sunday, January 11th. Enjoy a beautiful run through Golden Gate Park with over 13,000 runners and then celebrate crossing the finish line with indulgent chocolaty treats at the unforgettable post-race party! Known for their amazing swag bags, all participants receive the official 2014-2015 season swag bag and new for the season, all 15k finishers will receive the official Hot Chocolate Finisher Medal. In addition, runners can sign up for the “Go the Extra Mile” program to raise money for charities. Ronald McDonald House Charities are the official charity of choice for each Hot Chocolate 5K & 15K race. The Hot Chocolate Series is the fastest growing 5k and only 15k series in the world. The series is produced by RAM Racing, the nation’s premier race production company based in Chicago who strives to give participants an emotional, unforgettable race experience. You can read about my Chicago experience here. For detailed information on the race, please click here. To register for the Hot Chocolate 5K & 15K, click here. You can find them on Facebook here and follow them on twitter here. 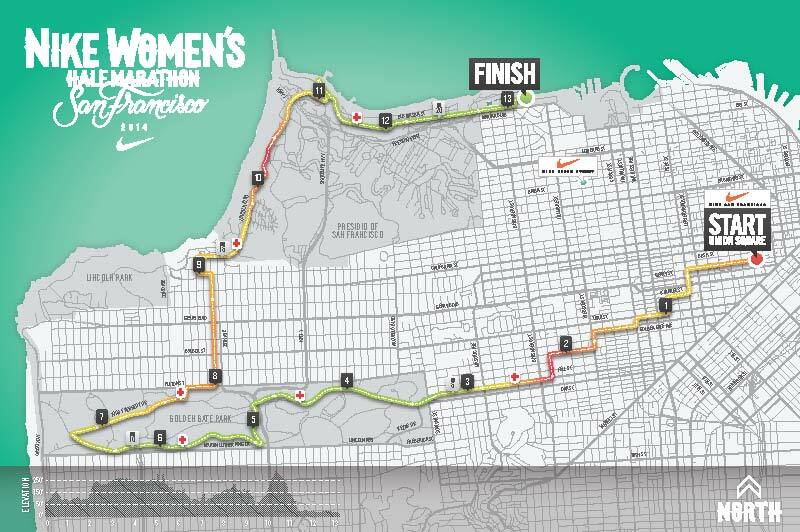 Enter to Win a Race Entry to the San Francisco Nike Women’s Half Marathon on October 19th, 2014! Once again this year, I am partnering with Whole Foods Market Northern California, and I will be running for them in the San Francisco Nike Women’s Half Marathon. I am really excited to have been asked again (by Whole Foods), and I am even more excited that I WILL BE GIVING AWAY TWO ENTRIES to this SOLD OUT race right here on this website (SCROLL DOWN FOR INSTRUCTIONS ON HOW TO ENTER)! 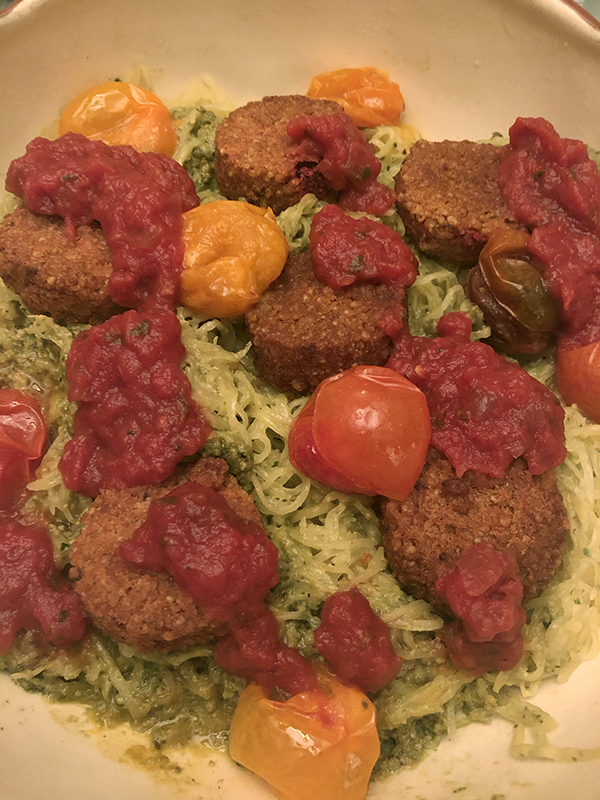 I’ll be sharing some recipes with food provided to me by Whole Foods Market, and providing my training reports from now leading up to October 19th. It’s been a while since I have run a half marathon (last November), so I will be putting in some hard work from now until race day. Here’s a favorite post of mine sponsored by Whole Foods from last year’s training. This giveaway is for a race entry only. Once you win, you will be responsible for the $180 entry fee.–The entry does not include transportation, hotel, or parking the day of the race. Keep in mind there is NO race packet pick up the day of the race, so you will need to make arrangements to attend the expo on Thursday, October 16, 12:00PM – 8:00PM, Friday, October 17, 10:00AM – 8:00PM, or Saturday, October 18, 8:00AM – 6:00PM to collect your bib number. 1. Like cavegrrl.com on Facebook here. 2. Leave a comment in the comment section below and tell me why you want to run the race! 3. Like Whole Foods Sacramento on Facebook here or Whole Foods Roseville here. 4. Follow Whole Foods Northern California on twitter here. I will be choosing TWO winners on September 1st! This year’s event will highlight Tempranillo’s aging potential with a Kickoff Seminar comparing pairs of Aged and New Tempranillos from the same vintner. See one of the reasons why Tempranillo is the fastest growing variety worldwide! 12:00 Noon – 1:30 p.m. – “Aged Tempranillos” This one-of-a-kind seminar will feature pioneer vintners pulling aged Tempranillos from their cellars to pair with their current release wines. Compare mature and young Tempranillo wines and taste how the world’s fastest growing variety mellows with age to become civilized and refined. 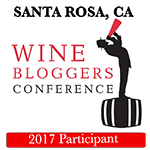 The session will be moderated by Stuart Spencer, owner and winemaker of St.Amant Winery and President of TAPAS. 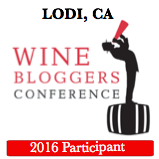 Tickets are $95 and include early admission to the Consumer Tasting. Garnacha/Grenache: A great European wine grape which produces world class wines. Taste an exciting selection of Garnacha wines vinified by premier American wine producers specializing in Iberian grape varietal wines made in the USA. Vino dulce: Taste rare dessert wines crafted by top American winemakers in a variety of styles. Tickets to the Consumer Tasting are $60. 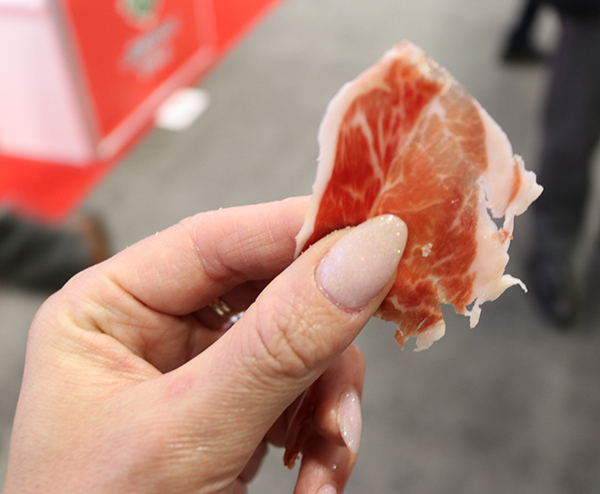 About TAPAS: TAPAS started at the 2004 Unified Symposium, when Tempranillo winegrowers from California, Oregon, Washington, Texas and Arizona met for the first time to discuss their avocation. Since that first visionary group pointed the way, the organization has incorporated and grown to over 100 members. The first Grand Wine Tasting was held at Copia in Napa in 2008, and has continued annually since then, as one of many initiatives to promote Tempranillo and other varietal wine grapes native to the Iberian Peninsula and wines produced from them in North America. You can find TAPAS on Facebook here and follow them on Twitter here. Gluten Free Expo in San Francisco, February 9th & 10th! The 1st annual San Francisco, CA Gluten & Allergen-Free Expo (www.gfafexpo.com) will be held on February 9 and 10, 2013 at the San Francisco Marriott Airport Waterfront Hotel. Jenny McCarthy’s non-profit organization Generation Rescue is the primary sponsor for the event (www.generationrescue.org). In addition, Dr. Peter Green from Columbia University will be the keynote speaker (www.celiacdiseasecenter.org). 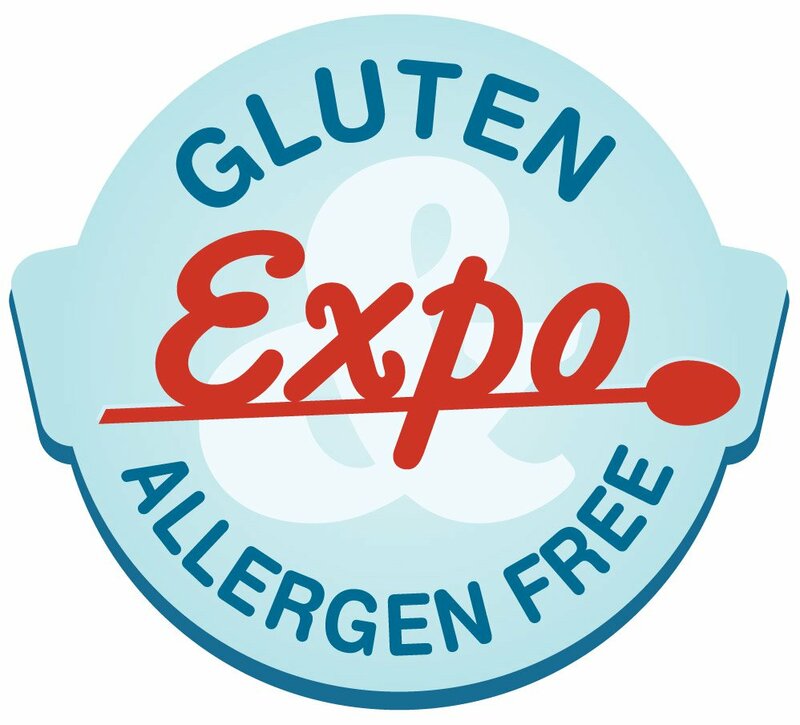 The Gluten and Allergen-Free Expo was started by Jen Cafferty of gfreelife.com in 2008. Jen’s team is excited to include San Francisco as part of their “road show” in 2013. More than 2,500 people are anticipated to attend the Bay Area’s first sizeable gluten-free event in years! The Gluten & Allergen-Free Expo will bring the nation’s leading chefs, best-selling cookbook authors, and highly regarded nutrition and health experts to help people learn how to prepare healthy, tasty meals and baked goods without gluten and some of the most common allergens. 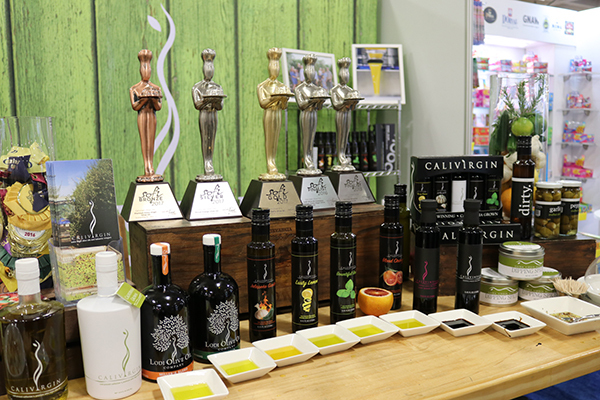 With over 100 vendors, attendees can sample products before buying them at the store. 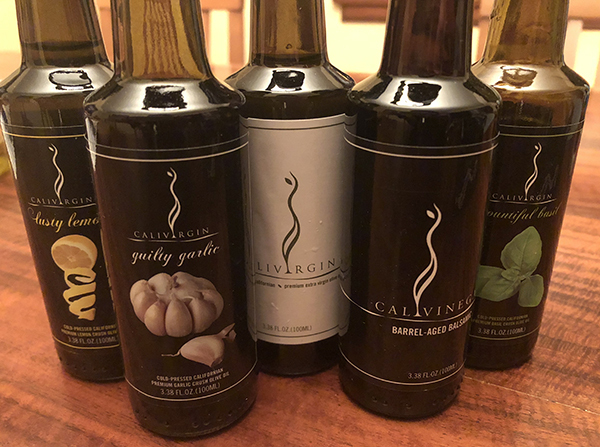 I can’t wait to connect with other gluten-free people as well as gluten free product manufacturers, and bring some of their products to this website! Open to the general public, the event features themed cooking sessions that will enlighten both beginners and more experienced home chefs, as well as a vendor fair, where attendees will meet and sample among more than 100 gluten-free companies under one roof. 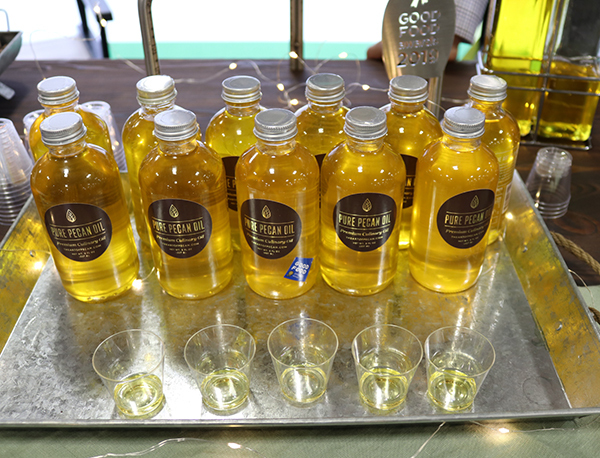 All of the vendors are 100 percent gluten-free and many also will showcase products free of the top eight allergens: milk, egg, peanut, tree nut, fish, shellfish, soy and wheat. 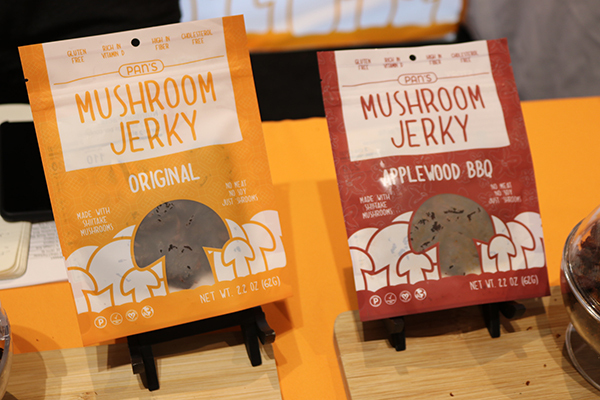 The Expo will include a dedicated area featuring nut-free products. 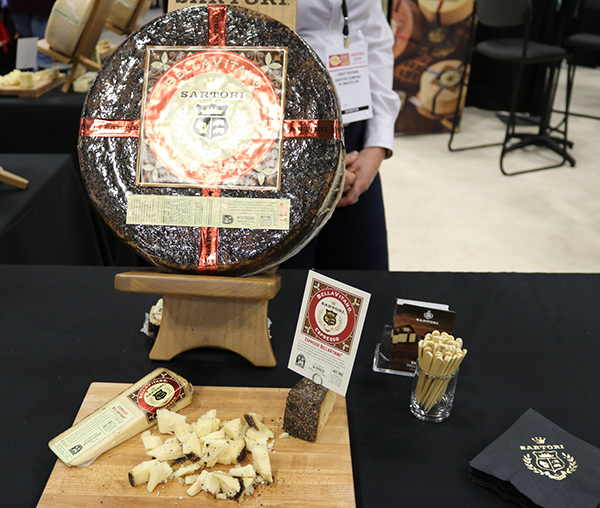 The Expo is not just for those who are gluten sensitive and have food allergies. It is a great resource for those who have celiac disease, arthritis, autoimmune diseases, food intolerances, anti-inflammatory diseases and those who are autistic. 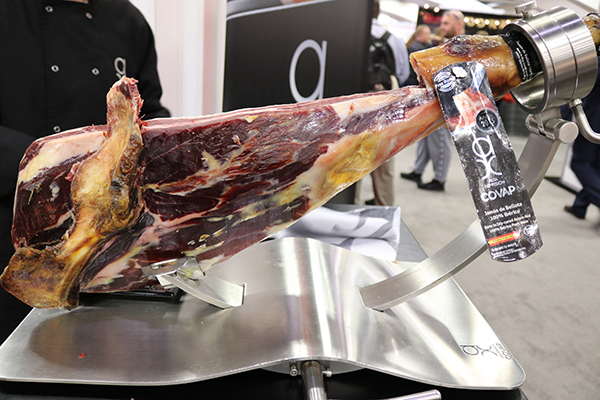 The Expo is a perfect platform for athletes and those who are health-conscious. Offerings will include raw foods, supplements, health foods, protein bars and shakes, and detox options. 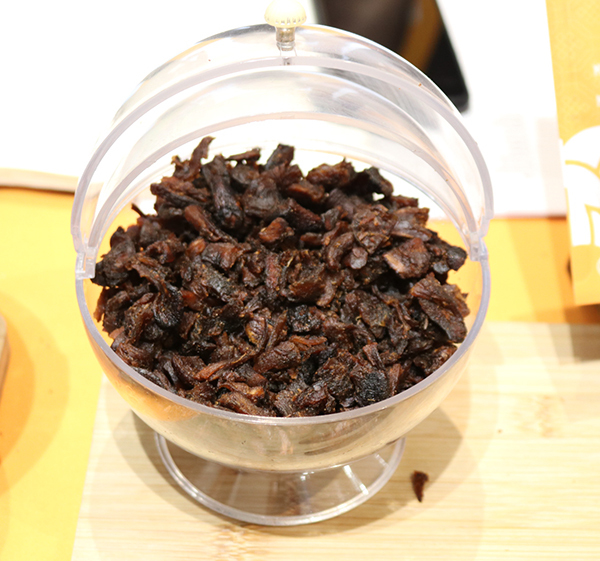 The Gluten & Allergen-Free Expo Vendor Fair will be held 10 a.m. to 4 p.m., Saturday, February 9 and Sunday, February 10, 2013 at the San Francisco Marriott Airport Waterfront Hotel. The cost to attend the Vendor Fair is $20 for adults and $5 for children ages 3 – 12. Early admission tickets (9 a.m.) are available for an additional fee online. General tickets are available online or at the door. The ticket price also includes an allergen-free arts and crafts area for kids, as well as staged presentations related to gluten-free living and cooking. To purchase tickets or obtain additional information, including vendors, presenters’ bios and the full schedule of classes and stage presentations for each day, visit www.gfafexpo.com. There are 45 million people with food allergies and intolerances. More than 18 million Americans are on a gluten-free diet. 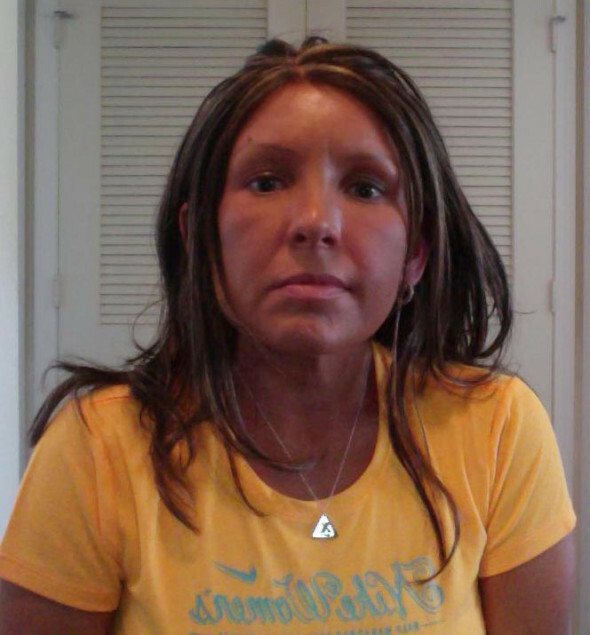 Over 3 million Americans have celiac disease. Celiac disease is two times more common than Type 1 Diabetes and seven times more common than Multiple Sclerosis. About 1 in every 133 people has celiac disease – a condition in which the body cannot tolerate gluten, a protein found in wheat, barley, rye and commercially available oats. More than 300 symptoms ranging from digestive issues to depression are linked to celiac disease, and more than 95 percent of people who have it are undiagnosed or misdiagnosed, according to the National Foundation for Celiac Awareness. A gluten-free diet is essential for those with celiac disease, which many sufferers erroneously believe or have been told by medical professionals is irritable bowel syndrome or lactose intolerance. In addition, many families with autistic children are reporting a reduction in their children’s symptoms with a gluten-free diet. The Centers for Disease Control and Prevention estimates that an average of 1 in 110 U.S. children has an Autism Spectrum Disorder. As founder of the Gluten & Allergen-Free Expo and President of Gluten Free Classes, Jen Cafferty is a nationally recognized expert on cooking and living gluten & allergen-free. She considers it her personal mission to help others who follow a restricted diet learn delicious, nutritious and convenient ways to live a happy and healthy life.